Any task we perform whether downloading or surfing while we are online can be traced, and there are chances that your personal details are being tracked. Although with the improvement in the technology, there has been development in the virtual private networks, or VPNs using which you can mask your identity by providing the faux IP address and using a range of the data encryption methods. This way you can browse the internet without worrying about the tracking of your data as it is not visible on the net and is safe and secure. One such VPN service provider is HideMyAss, which is a UK based company and provides a complete security solution for the internet users. The company has 591 different servers located in sixty-nine countries around the world. The infrastructure of the company HideMyAss has a capability to manage around 73,000 users having corresponding IP addresses and the number is still growing. There are three protocols used by the firm, and these are OpenVPN, L2TP, and LLTP. The subscribers can quickly shift from one protocol to the other. Along with this, the HideMyAss has the functionality that makes it compatible with all the operating system present today. This is what makes it different from the other solutions in the industry. HideMyAss has the capability to provide security irrespective of the device and its operating system. There is a vast range of services rendered by the company on their site, which is free of a charge that makes it even more popular amongst many users. There are many other companies in the industry that provide very similar services just like HideMyAss and these companies offer the same kind of VPN security solutions. Following are ten such companies that provide the similar services to that of HideMyAss! Express VPN can replace the premium HideMyAss and is a great VPN provider company. It provides a massive encryption protection by using 256-bit encryption protocols. The subscriber to the VPN service can operate the blocked site from any location across the globe virtually. The process is secure, super fast and maintains the privacy of the individual to the device being used. Express VPN involves a series of encryption protocols including PPTP, SSTP, L2TP-IPsec and OpenVPN (UDP, TCP). The user can select any of the protocols as per their requirements. The VPN security provided by Express VPN can be used on Linux devices, Android, iOS, Mac, Windows, gaming consoles and the Internet- enabled TVs. There is no usage limit on the surfing that can be done from over 78 countries including more than 100 cities. Express VPN offers a 99.9% uptime of the server, and no online activity logs are generated. It can be used on the PC and a hand device such as a mobile phone at the same time. The company is also offering an extended 30 days money back guarantee on their VPN service. Hence, if a client is not contended with the services provided by the VPN service, he can claim the money and company will refund the amount. Along with this, an efficient customer support of 24*7*365 is also provided by the company through live chat. This is an add-on service to assist the clients. PIA is another VPN service provider which provides simplified VPN solutions and can easily replace the HideMyAss VPN. The company applies the traffic encryption so that anyone can browse without being identified. The encryption technology works through the VPN servers present in different locations in various countries and provides you a secure internet connectivity. The company ensures that its clients do not face any issue regarding the extra load, slow speed, and low connectivity. PIA provides essential features for an affordable yearly plan. Hence, Private Internet Access offers the best solution that can replace HideMyAss, for the people who are new to the world of internet and want a safe internet connection. The facilities provided by the PIA include Multiple platform support, 24*7 technical support through live chat service, VPN kill switch, Fast performance, Advanced features, One-click activation and connectivity along with various payment options. Private Internet Access offers you the different billing facilities to select from. It has three payment plans with price options that include of $6.95 per month, $ 35.95 per half yearly and $ 39.95 per year. The annual plan offered by the company is very inexpensive and gives you great value for money. The company has the policy to provide all the features to all their clients irrespective of the amount they are paying. NordVPN is a reliable VPN service provider located in Panama and provides you a secure and smooth browsing experience. The VPN has a simple setup and is easy to operate. A huge variety of VPN servers is provided by the company, which are ultra secure and ultra fast. The client can use up to six connections at the same time along with P2P option. The application can be used on almost all the modern OS and is compatible with Linux, Mac OS, and Windows, etc. The software also comes in mobile phone versions that can be used on Window Phone, Android as well as iOS. It can also be used in Gaming consoles and various network devices including routers. NordVPN is famous for its simplicity. The VPN is easy and quick to use. The company used encryption protocols such as PPTP, L2TP/IPsec, and openVPN. Their offerings include the Killswitch, video streaming, double encryption and Tor-Over VPN. The company offers competitive prices for their services. Hotspot Shield is designed and developed by AnchorFree Inc. located in Silicon Valley. The company was founded in the year 2005. It was established to provide its services free of charges regarding different functionalities such as accessing the hidden or blocked sites, internet security and malware protection and more. Hotspot Shield provides flexibility regarding its application on the various OS such as Android, iOS, OS X and MS Windows, used on different desktop and mobile equipment like phones and PCs. Hotspot shield is a well-known software that is popular across the globe and is available in many languages. The software progressed hugely from 2010-13 when there was Arab Spring Protest in Libya, Tunisia, and Egypt. That was the time when the people who were protesting used the Hotspot Shield tool to surpass the internet security standards set by the government so they can deliver their statements to mass media and also get in touch with their supporters easily. In the year 2012, the application users located in the United States grew drastically especially the individuals having Mac computers. That was the time when the Flashback Virus had harmed more than 500,000 Mac computers, and Hotspot evolved as the most effective tool to protect the computers from the virus threat avoiding further damage and infiltration through the cloud. The VPN provided by the cyberGhost is most similar to the VPN from HideMyAss in many ways. It encrypts the data and offers the quality services to browse the website privately and safely. CyberGhost has over 600 servers based in 30 various countries across the globe. Though their premium VPN services are fantastic, one can also utilize the free services. If you want to go for the high-tech facilities, we recommend you to try their premium VPN services subscription. The services included in this version are great. The VPN provided by the CyberGhost is compatible with all the popular platforms such as Linux, iOS, Windows, Android, Raspberry Pi, Chrome OS and much more. This security service provides you a safe environment to surf freely and safeguard your device and hence your information from the cyber hacks. With the use of these VPN services, you can also access many restricted sites. By subscribing to their premium plan, you can select any virtual private network server across any location in the world and browse any website through their VPN making it completely secure to use. The company also provides a proxy service called the Cyberghost proxy service, which makes it the best option to replace the HideMyAss VPN service. TorGuard is a moderate VPN service provider. It has numerous servers across 42 countries worldwide. The company provides various encryption options to select from so that their clients can use the technology as per their requirement. They are dedicated to rendering the best services to their users. The company offers various discounts to their customers based on the duration of the subscription. Their starting VPN plan costs around $ 10 a month, which is very competitive in the market. TorGuard also provides a VPN with Proxy bundle plan that costs $ 11.54 every month. This plan also includes the money back guarantee along with server selection and an excellent customer support just like their proxy service and VPN plans. All the plans offered by the company are great even if they are not inexpensive. The add-ons provide excellent value for money. TorGuard also provides a Private Email Service with PFS (Perfect Forward Secrecy) as well as two-factor authentication along with the online G/PGP and offsite email archiving. The cost of this service is approximate $6.95 a month. StrongVPN is a well-known name in the VPN industry and is a reputable VPN provider. The company’s website is www.strongvpn.com. The StrongVPN company was founded in 1995 and has made a great reputation in the industry for itself. The company had numerous VPN servers based in various locations all over the world and provided significant technical support services. The staff of the company comprises of experienced professionals and technical experts who developed the best known VPN solution that provides a great surfing experience to its user without being identified. The important features provided by the company are high-speed internet connectivity with no additional bandwidth charges, facilities like European or American IPs anywhere in the world, unblocking of sites from different countries, anonymous browsing and unlocking of VoIP. The company has earned a great reputation regarding their exceptional technical support irrespective of the location of the client. StrongVPN provides its services along with a seven days money back guarantee to its customers, in case they are not pleased with the services offered by the StrongVPN. 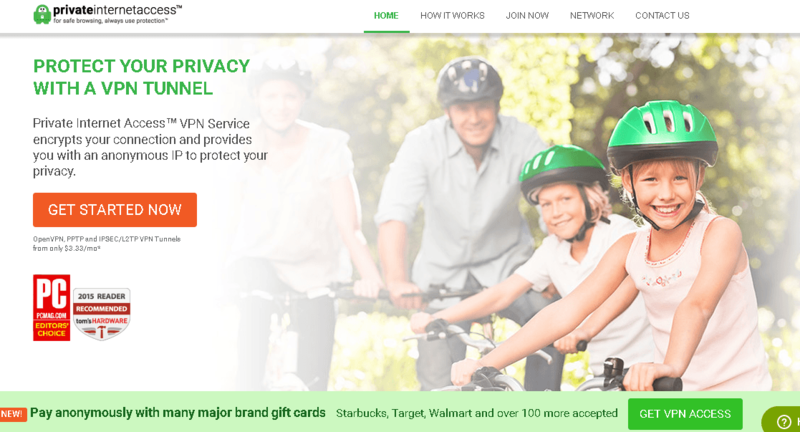 PureVPN is a VPN service provider that provides same features as HideMyAss. This VPN helps you to visit the blocked sites without being known and safeguard your personal details and other information from the cyber hacks. When you use a public Wi-Fi connection, it protects you from the malicious software and cyber hacks and prevents your logs from being seen. It works quickly with an optimal server. This VPN client can be used on various platforms such as iOS devices, Linux, Mac and Windows. It can be utilized on five machines/devices simultaneously. There are more than 500 VPN servers included in around 141 countries across the globe. PureVPN provides multiple encryptions very similar to other VPNs in the market. The protocols used for encryptions are OpenVPN, SSTP, L2TP, and PPTP. A new VPN service provider gaining popularity these days is Total VPN. The company offers modern and well organized VPN services. It also offers a complete security from the snoopers, government monitoring, and hacking. The VPN service provided by the company also protect your online usage information from your internet service provider. TOtalVPN ensures the safety whenever you use an open WiFi network and prevents tracking of the system. Due to the outstanding facilities provided by the TotalVPN Company, it is included in the list here. This software is twice as fast as HideMyAss and CyberGhost when it comes to connecting to a private network. Along with the paid service, the company also provides a free VPN service. While paid service renders you with the connection to any private server located in more than 50 countries, the free service only offers the servers present in three countries. Since TotalVPN is a new company, their technical team is always working towards the progress of its applications as per industry standards and clients needs. These services can be used on Android devices, Android Pad, Mac OS, Windows, iPad, and iPhone. The developers are designing Chromebook client, which is coming soon. There is a series of encryption protocols are included in the application. 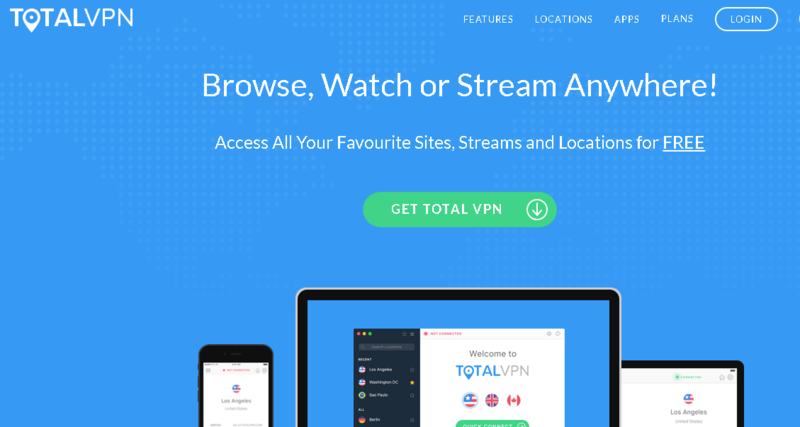 Hence, if you use TotalVPN as a replacement to HideMyAss, you can work online safely, while it will guard you against the government agencies, snoopers and hackers via various encryption protocols. The secure servers encrypt everything that you type along with the internet traffic. Another VPN similar to HideMyAss is VyprVPN. It is a famous VPN popular for its Chameleon technology. This is a modern technology that provides highly secure Internet connection. This new technology is designed by VyprVPN that can prevent the VPN blockers, making the connection safe to use. It also offers a great feature called NatFireWall. This NatFireWall provides better protection to your devices or router by using an additional structure or layer. The company provides the unlimited consumption, and you can change the server location in the country of your choice without any extra charges. You can switch amongst over 700 servers and 200,000 IP addresses in more than 50 countries across the globe. In fact, you have the option to select the encryption protocol of your choice that includes Chameleon, PPTP, L2TP, and OpenVPN. 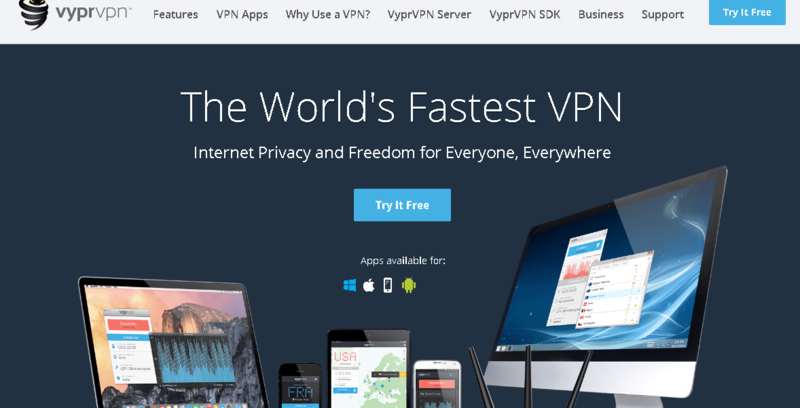 VyprVPN is an excellent alternative to the CyberGhost, and its VPN can be used on all popular peripherals such as internet enabled TV, Router, iOS, Windows, Android, and Mac. Their in-house teams of network engineers provide 100% uptime internet connection along with great technical assistance. These are the ten alternatives to the HideMyAss VPN services. Whether you want to surf seamlessly on the internet, download stuff or visit a restricted site, we hope that this review will help you find a suitable solution as per your requirement. We have tried to accommodate all the relevant and the latest VPN software solutions in this review to give you the maximum advantage. Please let us know if this review has helped you in your search to find a best suited VPN service to replace the HideMyAss VPN and in case you have other options, you are welcome to suggest them in the comments below. You can also ask your questions through the comment section. We would be happy to return to your queries.